Public broadcasters have asked the FCC to exempt noncommercial TV stations from a regulation requiring them to transmit video in two different broadcast standards during rollout of Next Generation TV technology. In filings with the agency last week, pubcasters also urged the commission to allow broadcasters to use vacant TV channels during the transition to the new broadcast standard, also known as ATSC 3.0. The commission authorized broadcasters last November to begin introducing Next Gen TV on a voluntary basis. The standard is seen as a game-changer for television because it allows broadcasters to provide a host of enhanced services, including interactive educational broadcasts linked to video games and other learning tools, and public safety emergency alerts. Because the ATSC 3.0 is incompatible with ATSC 1.0, the existing TV standard in the U.S., the pace of its rollout will be driven by consumers, who will have to buy new equipment to receive ATSC 3.0 signals over the air. To protect consumers and ensure continued broadcast service to all TV households, the FCC is requiring broadcasters to simulcast the primary video stream of their ATSC 3.0 channel in an ATSC 1.0 format. This rule will be in effect for the foreseeable future, the agency says. The FCC anticipates that stations will provide the simulcasts by entering channel-sharing partnerships with other stations in their markets. Broadcasters carrying the ATSC 1.0 signals will operate as “lighthouse” stations for their partners transmitting in ATSC 3.0. But many public TV stations may be unable to comply with this rule because their service contours don’t cover the same areas as other stations in their markets. KVCR, a Los Angeles public TV station licensed to San Bernardino Community College District, is one of them. Public TV leaders in Washington have advised top FCC officials of this problem in recent meetings, and their organizations elaborated in their joint comments. The college also made it a case for revising the simulcasting rule in its own response to the FCC’s request for comments. Public Media Co., a consulting group that is working with a group of public TV stations on Next Gen TV business planning, filed comments explaining why state networks such as the Arkansas Educational Television Network need an exemption. 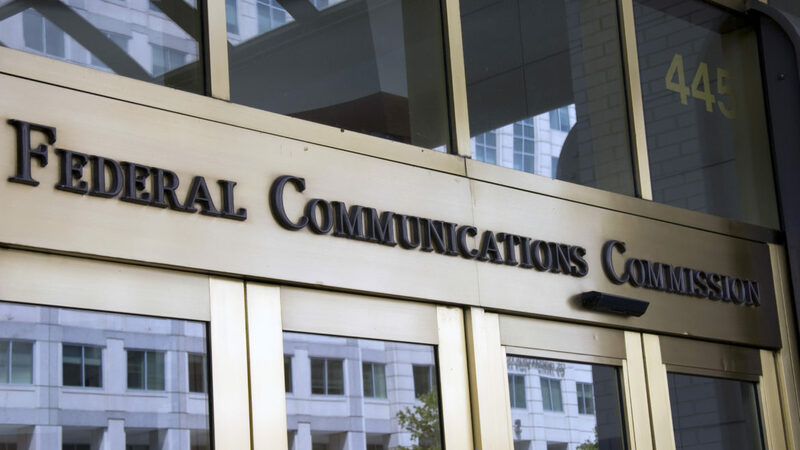 If the FCC declines to exempt noncommercial stations from the rule, the community college proposed criteria for a presumptive waiver policy that pubcasters have offered as an alternative. The college recommends that the commission create a “waiver safe harbor when conditions such as distance and topography or other similar circumstances make a local simulcast partner neither practical nor viable. Pearl TV, a coalition of eight major commercial broadcast groups that back ATSC 3.0, endorsed public broadcasters’ requests for an exemption from the simulcasting rule in its comments. “[I]f these stations are granted additional flexibility, then rather than being limited from participating in this new technology, they can instead be excellent candidates for early transition as lighthouse stations,” Pearl said. The national public broadcast organizations and San Bernardino Community College district urge the FCC to open another option for those stations that do opt to simulcast — by allowing them to use vacant TV channels to temporarily host either ATSC 1.0 or 3.0 broadcasts. The college elaborates on this potential solution in its comments. “Existing vacant channels in the UHF, High VHF and Low VHF bands represent a tremendous ‘lifeboat’ for full-power stations intending to migrate to ATSC 3.0 but which … are unable to provide a local simulcast of primary channels using ATSC 1.0 in their respective communities of license,” KVCR’s licensee said. For many stations, tower siting precludes them from sharing facilities for simulcasts, the pubcasting organizations added. Anticipating another regulatory challenge if the FCC decides to exempt pubcasters from the simulcasting rule, PMC made a case for cable must-carry of ATSC 3.0 signals. For early adopter stations that opt to drop their ATSC 1.0 service and “flash-cut” to Next Gen TV, PMC asks the commission to require cable TV and satellite operators to carry their ATSC 3.0 signals. The FCC’s ATSC 3.0 rules currently say that broadcasters can only require cable and satellite TV providers to continue carrying their ATSC 1.0 signals during the agency’s simulcast period, meaning as long as the simulcast rule remains in effect. Must-carry rules do not apply to a broadcaster’s 3.0 signal during the simulcast period, even if the broadcaster “flash-cuts” by dropping its 1.0 signal after converting to Next Gen TV. Led by the National Association of Broadcasters, commercial broadcasters also urged the commission to make it easier for stations to get waivers from the simulcast rule — and to clear the way for broadcasters to use vacant channels for the ATSC 3.0 transition. “The local simulcasting requirement is intended to minimize consumer disruption during this deployment, but it should not serve as a barrier that freezes viewers in small and rural markets in place and prevents them from enjoying the benefits of technological advances,” NAB said in its comments. “ONE Media strongly supports the use of available vacant channels as dedicated transition channels to ensure maximum continuity of service,” ONE Media added. Other industry groups registered their opposition to broadcasters’ requests for more flexibility in the simulcast rule. In its comments, the cable TV industry’s lobbying organization —NCTA — The Internet & Television Association — opposed simulcast waivers, blanket exemptions and the proposal to give broadcasters access to vacant TV channels. “It would be particularly inappropriate at this early stage to consider waivers of the simulcast requirement — much less to grant a blanket exemption — for NCE and/or Class A stations,” NCTA said in its comments. Two public advocacy groups, New America’s Open Technology Institute and Public Knowledge, countered broadcasters’ requests in their comments. Giving stations exclusive use of a second TV channel for the ATSC 3.0 transition would disrupt other users in the band, including low-power TV and unlicensed spectrum users including wireless microphones, they said. “A multi-billion dollar giveaway would discourage channel sharing and encourage broadcasters to grab and warehouse as much spectrum as they can, investing instead in the lobbying needed to eventually monetize the spectrum,” the public advocacy groups said. Reply comments on the proposals are due March 20. Under the law, the FCC cannot act on the proposals until after the reply comments are filed. “Going forward we generally want to mitigate production risk,” said interim GM Keith Birkfeld. We enjoy watching kvcr. It is only available through u verse. We wish that we could see it added to the over the air stations on the other TV’s.